Scuba diving videos and photos for divers and those interested in the underwater worlds of our oceans and seas. Scuba diving videos and information that helps keep divers up to date with the latest tips and tricks related to scuba diving. 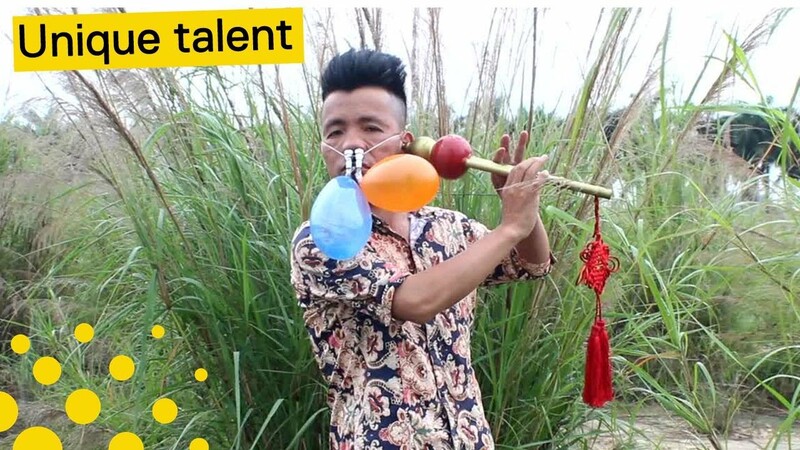 A 42 year old performer has the unusual ability to play wind instruments with his ears. Is learning to scuba dive out of the question for him? Zhang Xijiang learned at the early age of five that he had this extraordinary talent. Not only can he play a wind instrument with his ears, but he can also do other things. He can smoke, blow out candles and even drink water with his ears. It is his ability to drink water with his ears that led me to wonder if he can swim or even learn to scuba dive with this ability. The ability to equalize and maintain the proper pressure balance on the eardrum between the inner and outer ear is a key requirement for learning to dive. From what I understand about ear physiology, I cant see how he would be able to adjust or manage the required equalization. Additionally, besides this issue, we only have to worry about water entering our air passage ways through our mouth and nose and we cover those.. So I am not sure if Zhang would be able to consider learning scuba diving as a sport? What do you guys think? Ship Drags Sat Diver & Diving Bell to Danger at 300ft. Copyright © 2019 For Scuba Divers.